As an additional option with some of our SSL Certificates, you can secure an unlimited number of sub domains on the same domain name by adding the wildcard option to your order. Wildcard SSL Certificates are able to secure unlimited sub domains on 1 level (as above). In most scenarios a wildcard SSL Certificate can be installed several times on the same IP Address, whereas standard SSL Certificates require a unique IP Address for each installation. 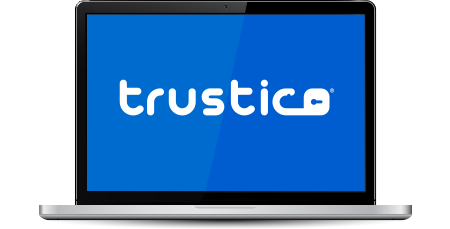 Our most affordable wildcard SSL Certificate is Trustico® Wildcard from only AED 863.51 per year. Trustico® Wildcard is issued within minutes. Our pricing structure for Trustico® Wildcard is well below the recommended retail price. Buy for 2 years and and the cost of Trustico® Wildcard works out to be excellent value at only AED 863.51 per year. Please use the above link to the product information page and optionally to go directly to our fully automated ordering system. Your Trustico® Wildcard SSL Certificate will be issued within minutes of your successful order. Our pricing structure for the Comodo® Wildcard SSL Certificate is well below the recommended retail price. Buy for 2 years and and the cost of Comodo® Wildcard works out to be excellent value at only AED 1,170.54 per year. Please use the above link to the product information page and optionally to go directly to our fully automated ordering system. Your Comodo® Wildcard SSL Certificate will be issued within minutes of your successful order.